Flight to London is duck soup. 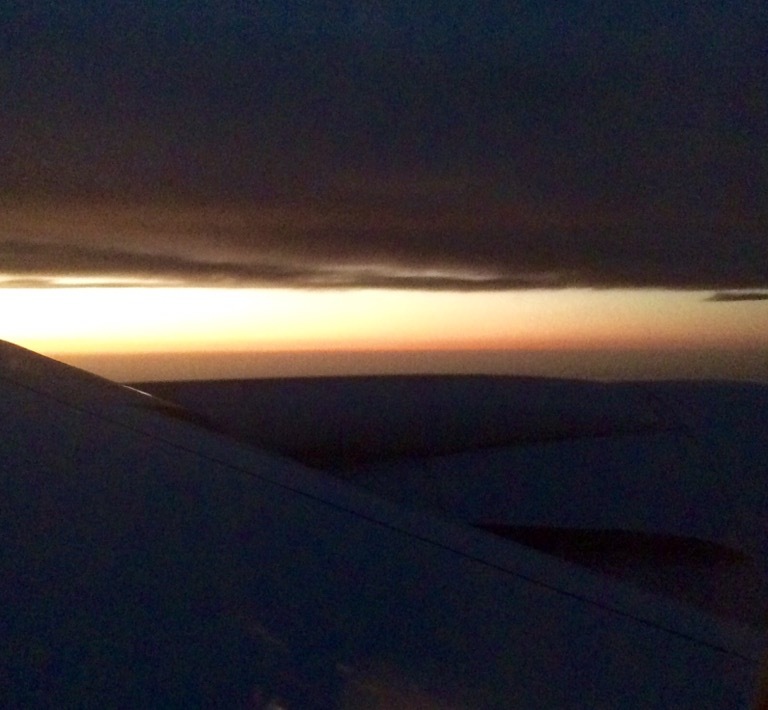 When you’re accustomed to flying upwards of 20 hours, 7 1/2 hours seems like a shuttle. What evil person invented the Sudoko? No matter how carefully I do them, I always get a faulty one that has a mistake in design that prevents my finishing it. You’d think I’d do something more productive with my flight, so, after encountering one faulty Soduku, I switch to blogging, emailing, not sleeping and other activities. 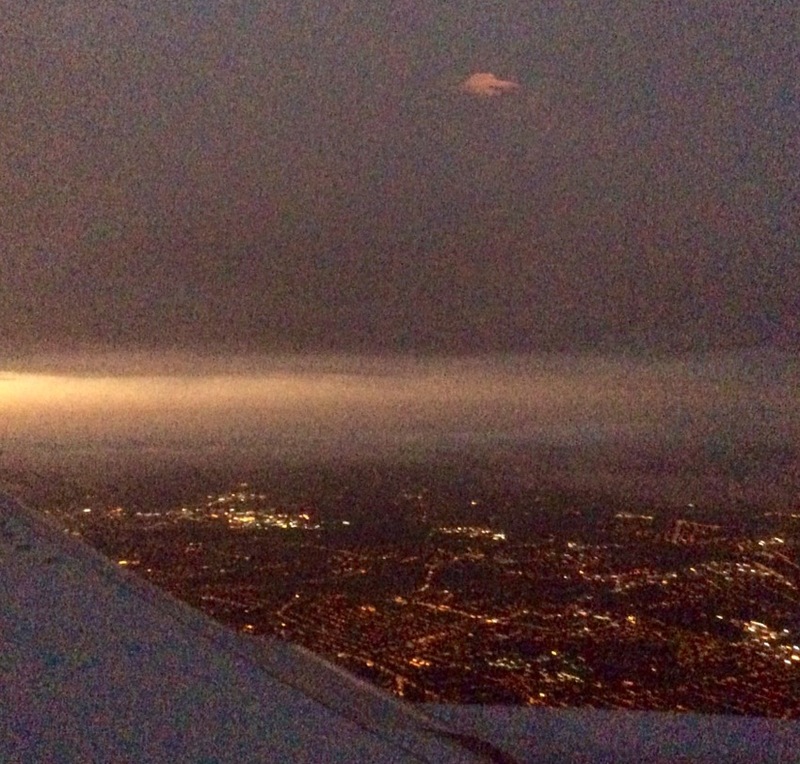 Here is London at dawn, as we arrive. Arriving in London, and after checking to find that the Cubs had reduced their magic number to seven by beating the Astros, we take the Piccadilly Line, as suggested by our friend, Tom, to the Caledonian Road station (a rather long ride) from which we call Tom, who comes to fetch us. We are staying with Tom Handler, one of our close friends from back in the 60s. Tom was a solicitor, a partner in the large international law firm of Baker and MacKenzie. Born in Hungary and raised in Australia to which he and his family emigrated from Hungary in 1948, Tom is quite simply a lovely human being. While in London, we spent time with Tom and got to know his brother, Leslie, and his mother Lilly, both of whom were still in Australia. Later, we got to know Tom’s late wife, Adrienne, and to meet his daughters, Rebecca and Sophie. We have stayed in touch with Tom and in recent years have met and gotten to know his friend, Judith. Tom and Judith stayed with us last November in Chicago and it is their invitation that prompted us to make this trip. Happily, we will spend a good deal of time with Tom and Judith on this trip. 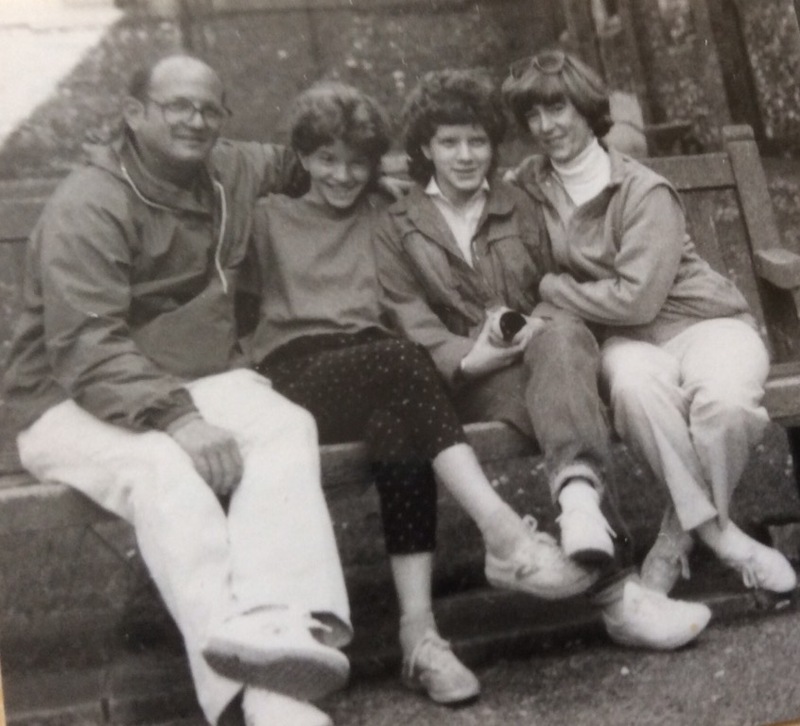 Because of our close friendship with Tom, he is also connected to some of the other folks we will see, and also is a good friend of Steve Sugarman’s, dating back to 1967-68. 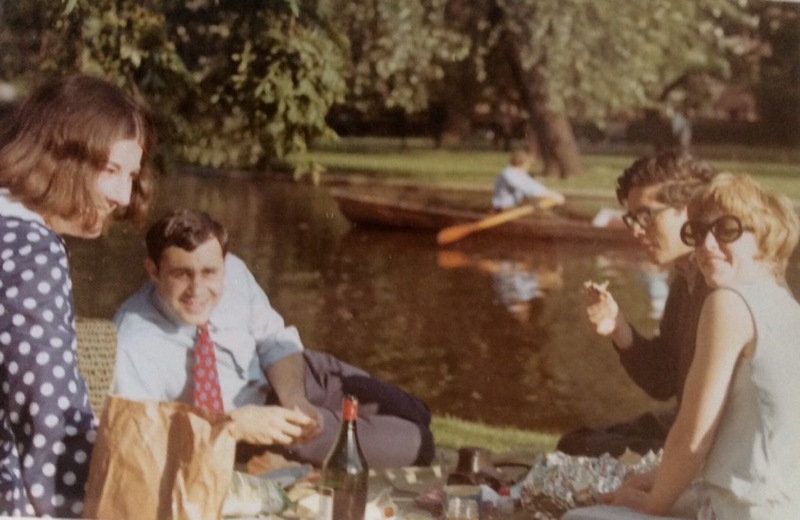 Below is a picnic with Tom, Steve Sugarman, Carol and a friend named Maureen. The other photo is of Tom, with his mother, Lilly, on the right. 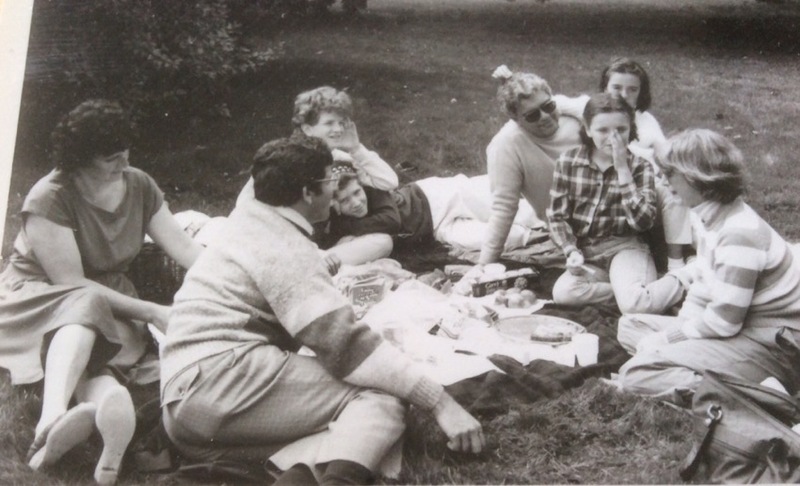 Here are other photos from a visit in 1985 of another large picnic (we were pretty big on picnics) that include Tom, Adrienne, his daughters, Rebecca and Sophie, as well as his brother Leslie, who was in from Australia, as well as Carol and our daughters. 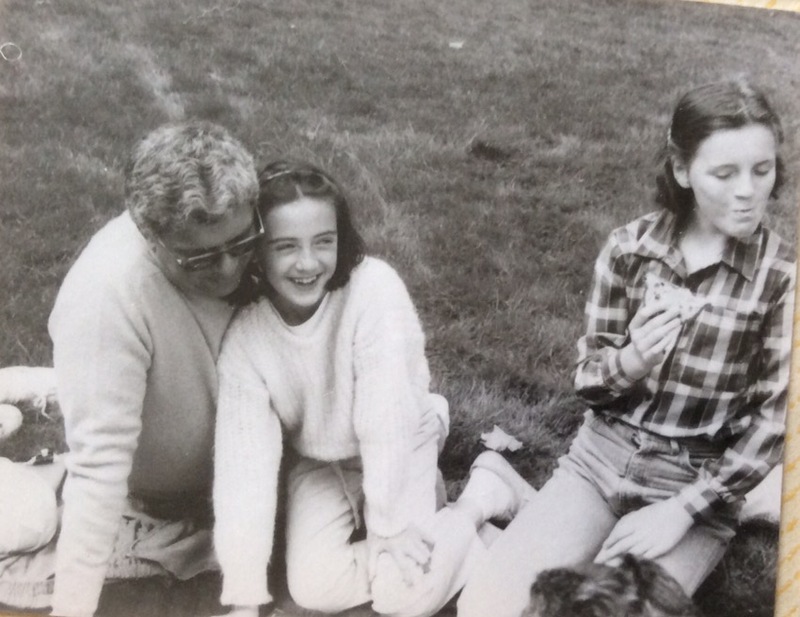 Following are pictures of the Handler and Kanter daughters and of Tom and his girls. 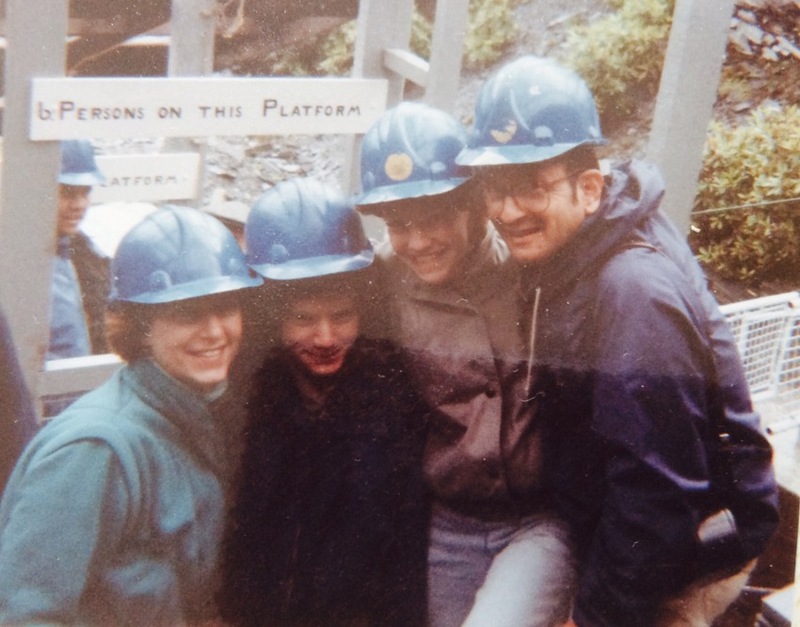 Though this is cheating a bit for this post, because it doesn’t involve Tom, here are a few photos of us with Jodi and Wendy on our 1985 trip. Back to Tom. Among his many other talents, Tom is the absolute best letter writer that either Carol or I have ever encountered. Because we stayed in touch largely through letters for many years, we had many occasions to revel in Tom’s letters. I can say, without exaggeration, that the arrival of a letter from Tom was cause for joy and celebration for Carol and me, and we savored and devoured each letter (if one can do both of those things at once). Though I miss his distinctive handwriting on thin, blue paper, Tom managed to retain his wonderful letter writing quality even in emails. As well as letter writing, though, Tom is a great conversationalist and we spend most of the day and evening talking about a very wide range of topics, from our days together in London to our families and friends to politics. Tom’s Hungarian heritage remains very important to him. 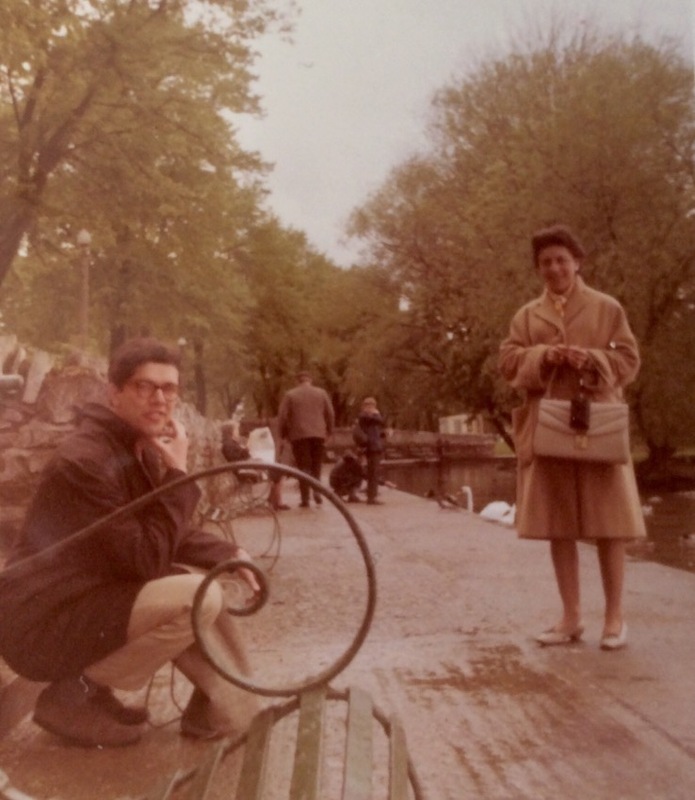 He speaks Hungarian to his daughters and grandchildren, as he did at home with Adrienne, who he met on a trip to Budapest in 1969 and asked to join him in London after four meetings. Adrienne died approximately ten years ago. 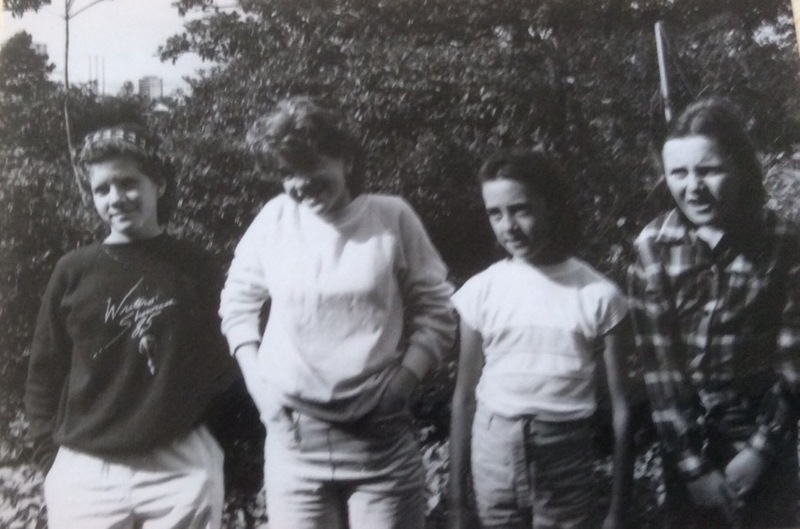 Tom and his daughters each travel back to Hungary, primarily to see members of Adrienne’s family. 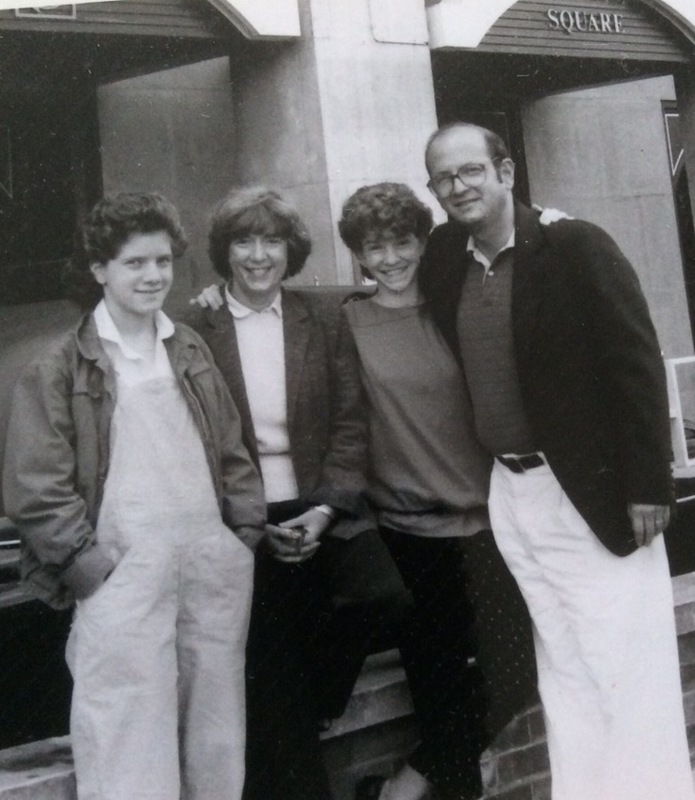 Carol and I are delighted to spend these many hours talking with Tom, broken up by lunch at a decidedly uphill restaurant in Highgate, where Tom lives, a 4-hour nap back at his house and dinner, again uphill to a restaurant in Highgate. We return home and retire soon, hoping to be fully on London time when we awake tomorrow. Great to see more pictures! Happy visiting to you and Maz! Kudos for the friends you have made and kept and the photos that you have treasured. We love London. Lived there for 2 years. I hate flying east. But if London is the destination count me in. that has passed so quickly. As chance would have it I’m currently ninth UK as well. Staying at a lovely cottage in the Cotswolds with a dear friend for a week ending with two nights in London before returning home Sept 20. I just love the old photos!!! You both look fabulous then and now. ENJOY! !